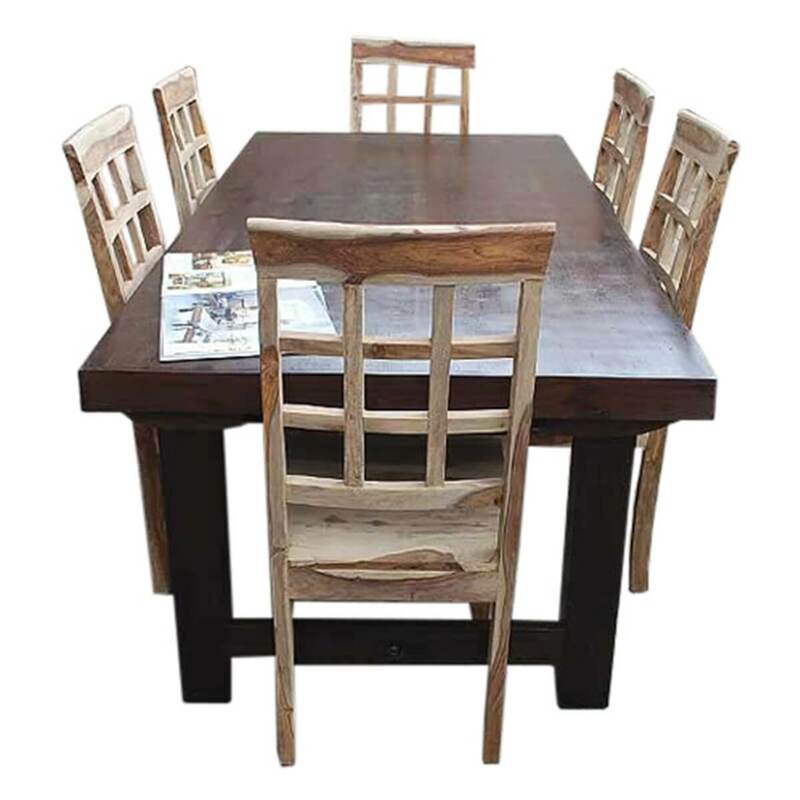 Let the magic of New Mexico bring fun and sophistication home with the Santa Fe Solid Wood Rustic Dining Table and Chair Set For 6 People. 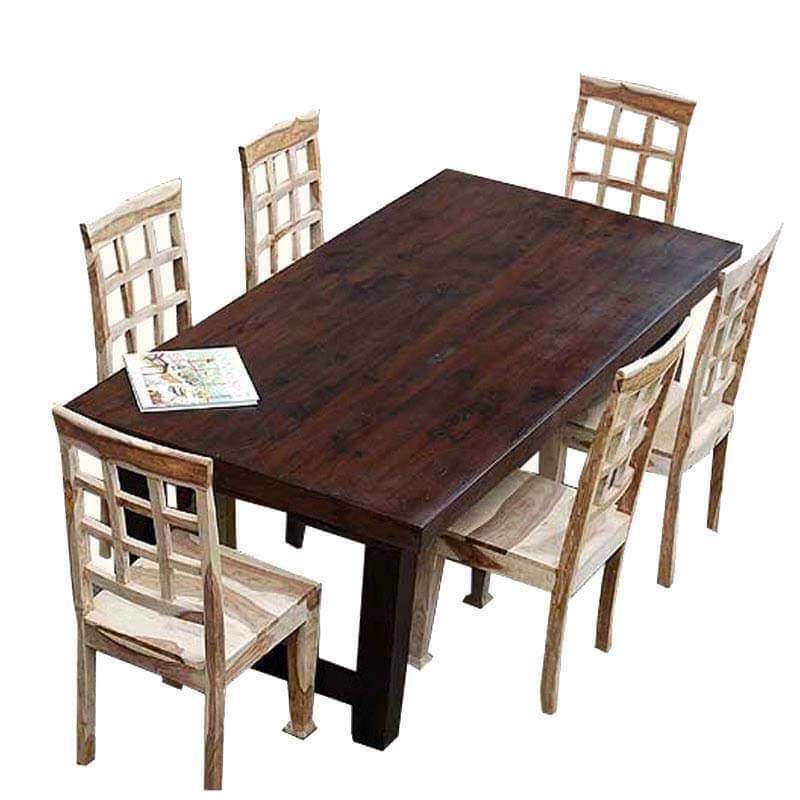 This contrasting style matches a classic dark stained dining table with multi-toned window back dining chairs. 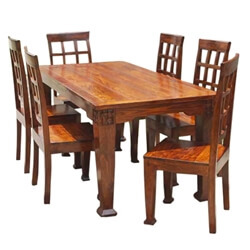 Art mingles with western practicality to create a stunning centerpiece for a modern dining room. 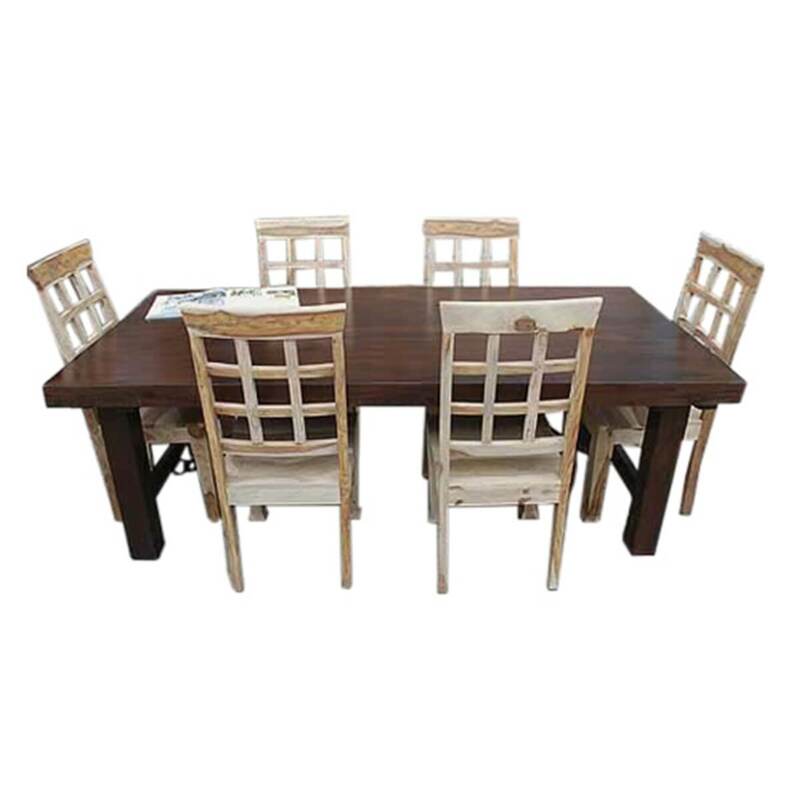 Make dining a unique experience with the Santa Fe 7 Piece Dining Table and Chair Set. 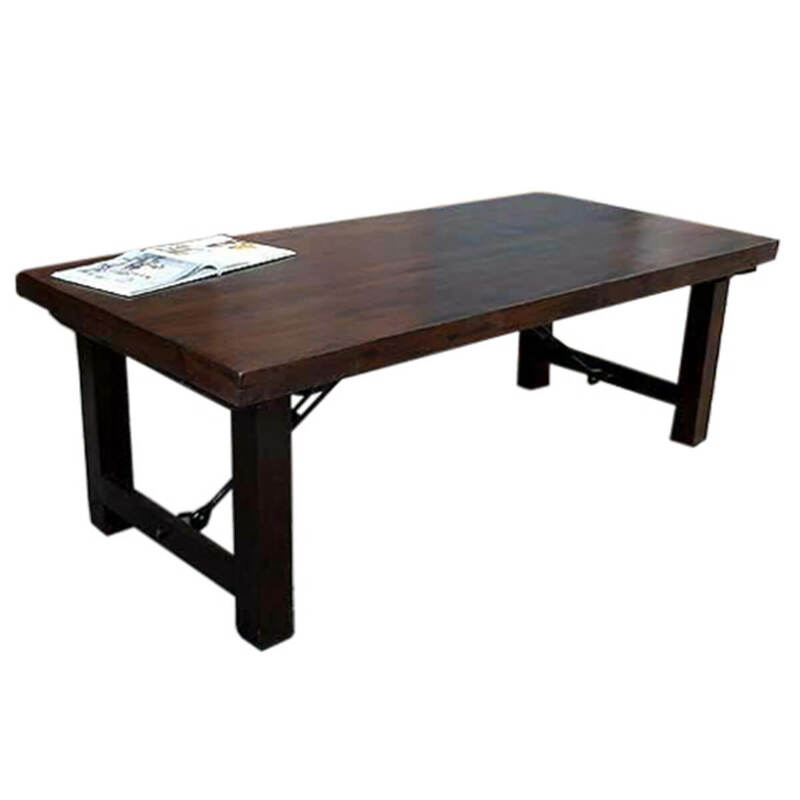 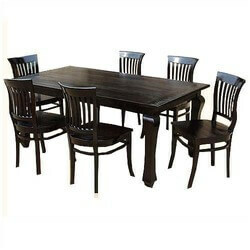 • Classic dining table with dark stain. 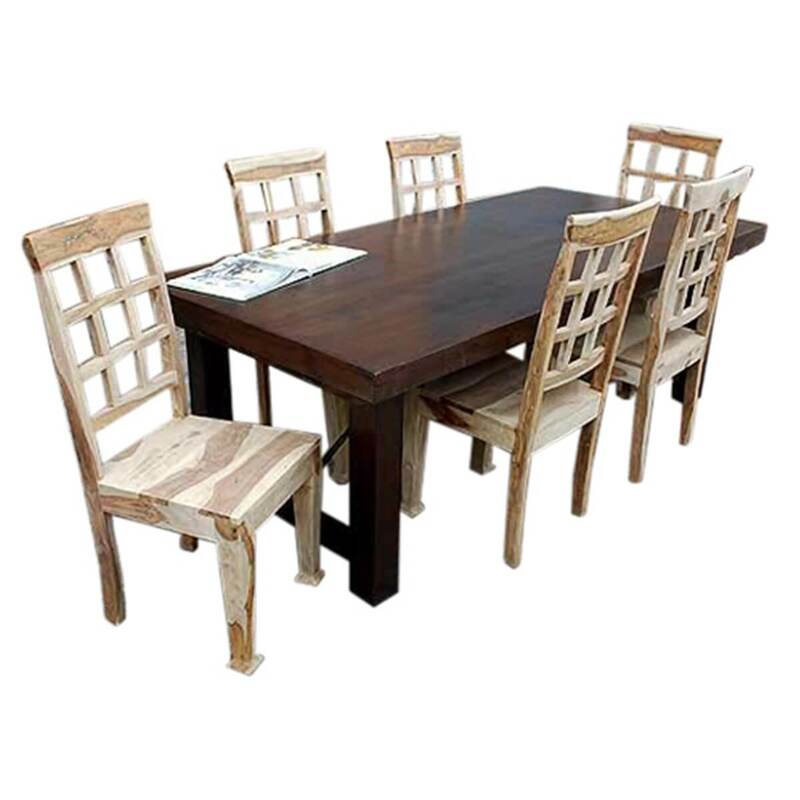 • Window back dining chairs each with a one of a kind pattern. 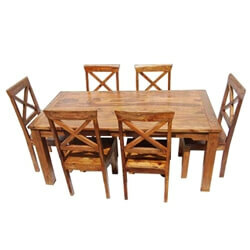 • Square box design on front chair legs and dining table legs. 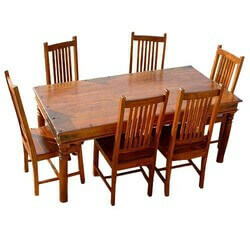 • Each piece is handmade. 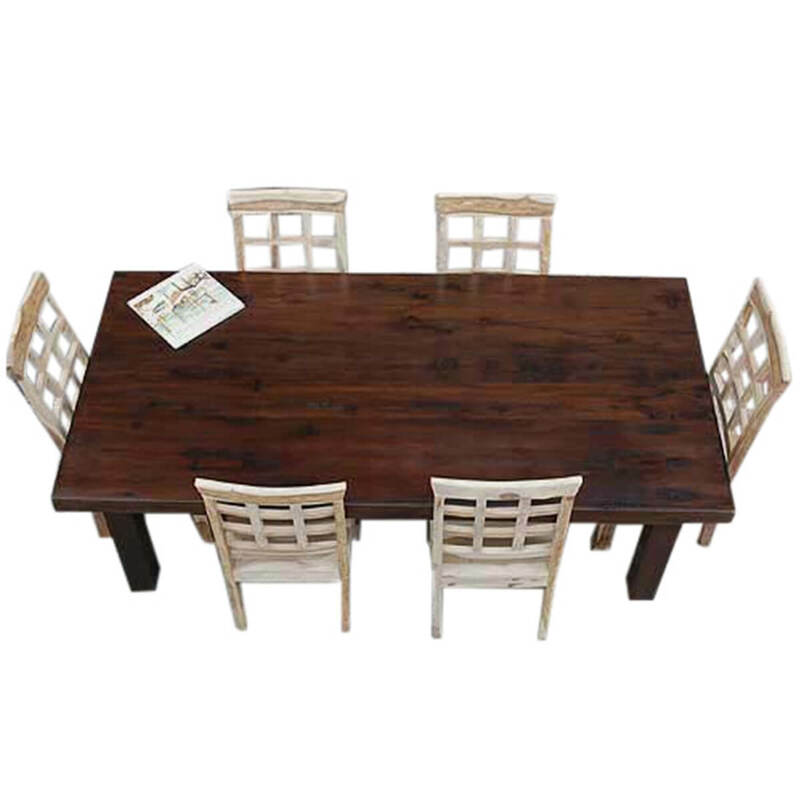 • Individually mixed stain and hand-applied wax finish.